The head of comms for UKIP has claimed the high ground after the party's local election gains, saying he resisted dozens of requests from journalists to do 'hit jobs' on rival candidates. Gawain Towler was speaking amid early results showing UKIP has taken 42 council seats and the Conservatives have lost 66, though there are many more results to come today and the party has not taken control of any councils. UKIP fielded more than 1,700 candidates, three times the number in 2009 when it won seven council seats. 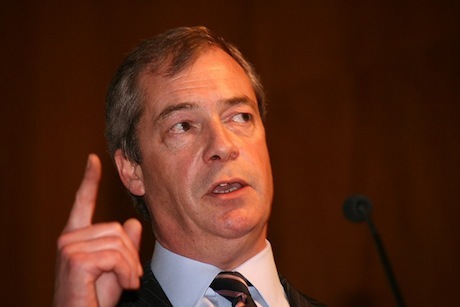 The far-right links of a number of them have been revealed over the past week and led to the party expelling or suspending at least four for membership of the British National Party or bigoted views. Despite criticism over the lack of vetting, Towler said the party had dealt well with investigating the issue and treating its candidates ‘with decency’. He also claimed to have secured an apology from The Guardian for an incorrect claim that a candidate had links to the BNP. However, the idea that UKIP has been unfairly attacked was dismissed by Business for Britain campaign director Dylan Sharpe.